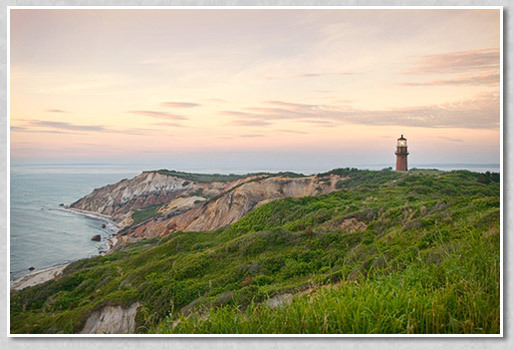 Gay Head Light sits 160 feet above the sea on the brightly colored clay bluffs of the Western side of Martha's Vineyard, where the Devil's Bridge rocks threaten the entrance to Vineyard Sound and the main route to Boston Harbor from the south. 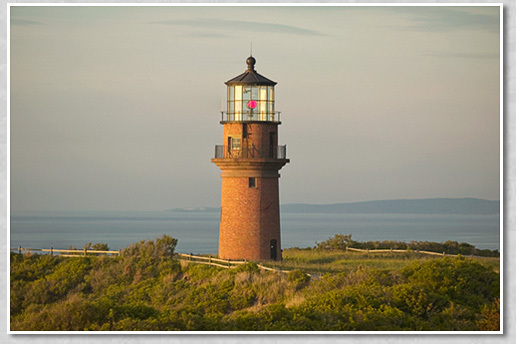 The original wooden lighthouse built in 1799 was replaced by the current brick and brownstone tower in 1856. 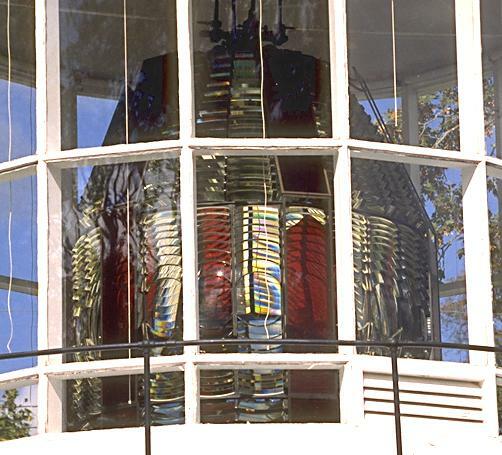 A massive first order fresnel lens with 1008 prisms was also installed at that time. 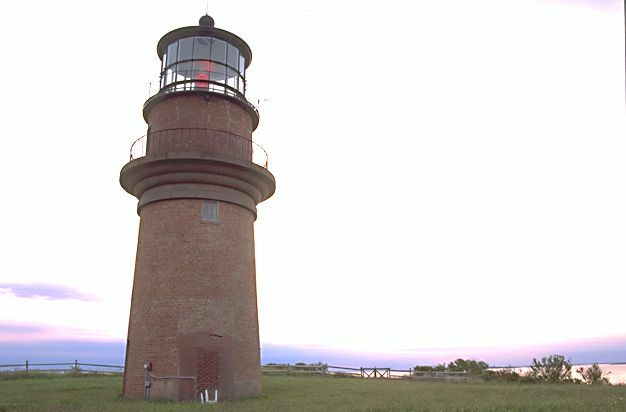 The light now has a flashing white and red beacon, but the original lens can be viewed at the Vineyard museum in Edgartown. Today, the land surrounding Gay Head is owned by the Wampanoag Tribe, who are very protective of the fragile clay cliffs.